Prof Albert Zijlstra is Professor in Astrophysics at the University of Manchester and Director of the Jodrell Bank Centre for Atrophysics. His research work is in evolved stars; stellar winds; planetary nebulae; stellar population and space dust. The true nature of planetary nebulae was unknown until the first spectroscopic observations were made in the mid-19th century. Planetary nebulae came to be understood as a final stage of stellar evolution. 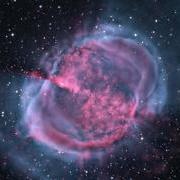 Spectroscopic observations show that all planetary nebulae are expanding. This led to the idea that planetary nebulae were caused by a star's outer layers being thrown into space at the end of its life. At the end of the star's life, during the red giant phase, the outer layers of the star are expelled by stellar winds. 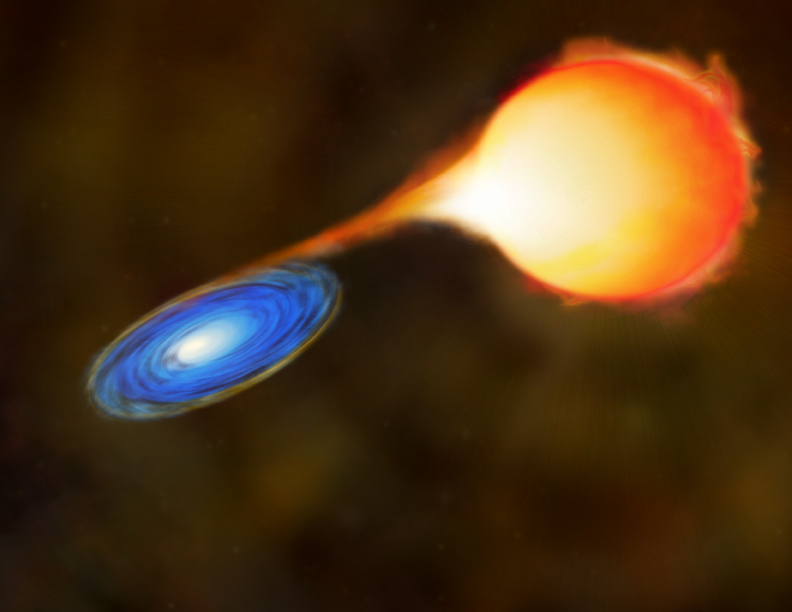 Eventually, after most of the red giant's atmosphere is dissipated, the exposed hot, luminous core emits ultraviolet radiation which blows the remaining material at a higher velocity into original ejected material, sweeping it up (known as a snowplough) this then ionizes the ejected outer layers of the star. 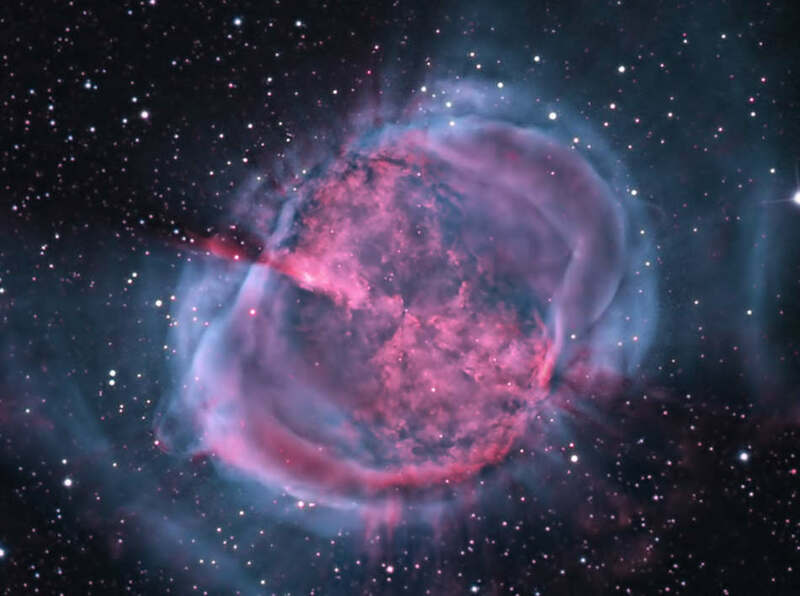 The absorbed ultraviolet light energising the shell of nebulous gas around the central star then appears as a bright coloured planetary nebula. Prof Zijlstra stated that as much as 40-80% of a stars mass was lost over the course of its evolution, returning to the interstellar medium. Only briefly is this ejected mass visible as a planetary nebula , perhaps as little as 10-15 thousand years only – a blink of an eye in comparison to the overall lifespan of a star, a star like our Sun for instance uses less energy per kg of material than your body does, but it is considerably larger – to say the least. 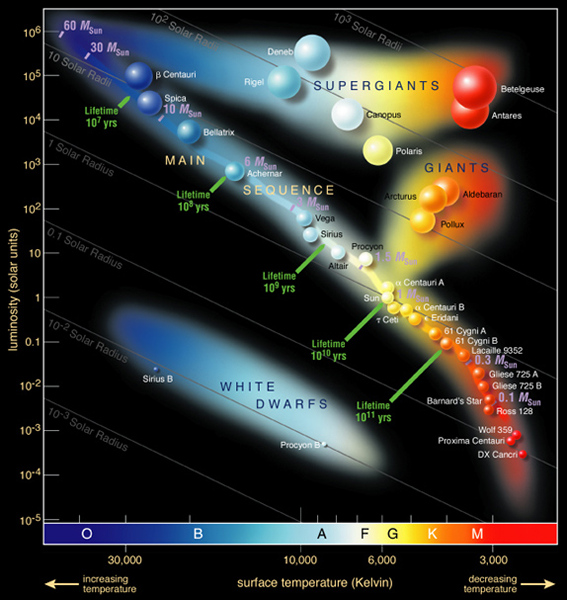 In our galaxy around 3000 PNe’s are known with another 1000 yet to be confirmed. In the last 3 yrs alone another 300 have been discovered and astronomers estimate that our milky way contains in excess of 20 thousand planetary nebulae! Most are around 1 -1.7 light years across. At one time PNe were thought to be predominately symmetrical, however, increasingly more complex mechanisms are thought to be at play as to how PNe evolve. There are many shapes – round, elliptical, bipolar, multipolar structures that exhibit rings, disks and polar flow. These asymmetries some of which appear to be spiral in nature may be caused by binaries or even cannibalised planets. Linear features outside the main nebula (jets) are thought to be linked to X- rays generated by the residual white dwarf star. Prof Zijlstra explained that by using the X - ray satellite Chandra, astronomers plan to survey all 120 PNe within 5000 light years to verify (or not) this theory. 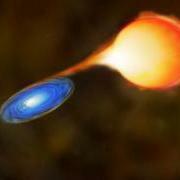 Mira variable stars are believed to be type of star on the verge of shedding their outer layers, indeed those accompanied by a binary star, are thought to be the origin of Mass losing stars, ones which move through space leaving behind a cometary type tail. Mira itself has such a structure over 2 degrees in length discovered only in 2007 and little more than half a million years old. 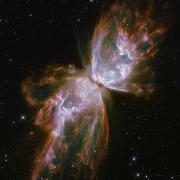 This was a most informative talk, shedding new light on these most beautiful of the heavens nebulae.